HOW CAN I TELL IF I NEED A RPS WHOLE HOME HEPA? Now that homes are better constructed, indoor air quality is deteriorating. The numbers are out and are alarming as asthma and allergy rates are increasing. 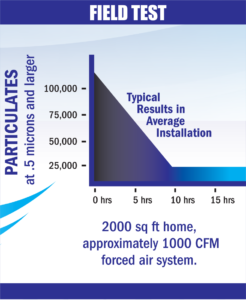 According to the American Heart Association and Lung Association allergies, asthma, lung cancer and heart problems have all been linked to poor indoor air quality.If someone in your family has allergies to airborne particulates, they should experience relief when a RPS Whole Home HEPA system is installed. WILL IT AFFECT MY EXISTING AIR DISTRIBUTION SYSTEM? RPS Whole Home HEPA Filters contain its own blowers and are normally installed in a “BY-PASS” configuration. This means about 1/5 to 1/3 of the air about to pass through the furnace (or air conditioner) is drawn off, cleaned, and returned to the airstream before the furnace. It will have no effect on the efficiency of your heating system. SHOULD I KEEP THE FILTERS IN MY FURNACE? Yes, they can help to keep heating (or cooling) components free from dust and dirt. 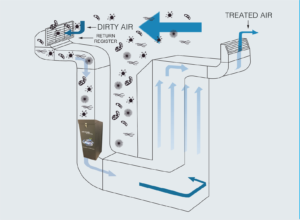 By trapping large airborne particles they will increase the life of the RPS Whole Home HEPA so that it can do what it does best – trap the very small particles that pass through the furnace filter. WHAT IS THE RPS CENTRAL WHOLE HOME HEPA SYSTEM? Home System has been designed to help in the removal of indoor air contaminants that are present in your home such as dust mites, household dust, pollen, mould spores, bacteria, viruses, pet dander, cooking smoke, tobacco smoke, odours and more. Millions of airborne pollutants are carried through the return air ducts of the heating/cooling system. 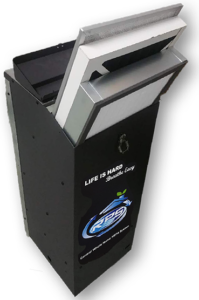 The RPS Central Whole Home HEPA uses a permanent washable pre-filter to capture larger particulates followed by a carbon impregnated filter to reduce odours. 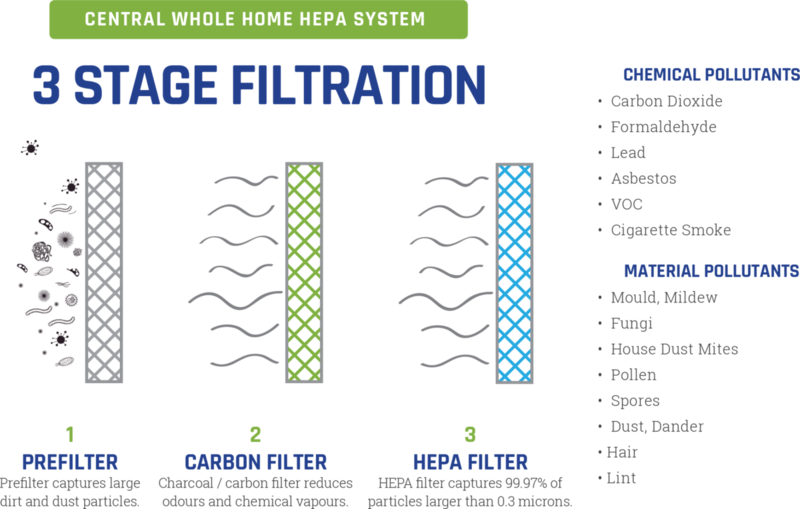 This powerful combination is also backed up with over 40 square feet of true HEPA filtration to rid your home’s air of particles containing bacterial, viral organisms and a host of other potential containments. With your furnace fan in the off position, the Central Whole Home HEPA System will treat approx 13,000 cubic feet of air per hour. What this means to your family is it will treat the air in a 2,000 sq ft home with 8 ft ceilings 20 times per day, approx. 7,000 times per year. On any given day, each member of your family takes over 20,000 breaths. Who knows what your family is breathing in?